Smartwatches are arguably more useful than a plain fitness wearable (depending on how useful you find it to not need to take your phone from your pocket), but smartwatches are also obviously much more expensive overall, so it probably shouldn't be too much of a surprise that Fitbit and Xiaomi are the biggest wearable makers in the world. Apple has the lead in terms of smartwatch sales (and by extension overall watch sales), but sales have dropped quite a bit. According to IDC, Apple had shipped 5 million Apple Watches in Q4 of 2015, but just 1.5 million in Q1 of 2016. And, that was good enough to make Apple the third largest wearable vendor. 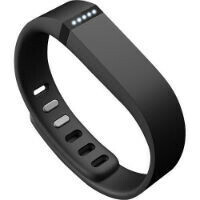 Fitbit took the top spot with 4.8 million wearables shipped, and Xiaomi was second with 3.7 million wearables. Rounding out the top five were Garmin in 4th with 900,000 units shipped, and Samsung tied for fifth with BBK, a Chinese company that is a subsidiary of XTC, at 700,000 wearables shipped. In terms of smartwatches specifically, Apple was obviously on top with Samsung second. Motorola took the third spot with 400,000 units shipped and Huawei came in fourth with just 200,000 units shipped. Overall though, the wearable market looked strong with total Q1 shipment volumes at 19.7 million units, which was an increase of 67.2% year-over-year. But, those numbers were clearly pushed by fitness trackers and more basic wearables and not so much with smartwatches. The Apple Watch and Android Wear devices seem to still need to convince the public the use case is real, because just being a fitness tracker that shows notifications from your phone may not be enough. lol @ big watch maker,..that makes rolex a big iwatch maker. Apple makes a smart watch and they rule that segment. So much for flopping! Watch 2 will murder the rest! In terms of sales, it is nowhere near a flop, but as a smartwatch, it is certainly a flop. Don't get me wrong, almost all smartwatches are. Since we have seen no sales numbers, then it is a flop. Shipping 13M units doesn't mean you sold them all. No worse than Samsung shipping countless products sometimes and also having them sit on shelves or warehouse floors. Until I see an Apple Watch on a person I don't know, on the street; and beyond 2 employees and Target's retail floor, then I suspect they aren't selling. Which si why the prices have been dropping. How many are going to be returned and refurbed into the Apple Watch 2? I think they look cool, but UI is a pain to use, it doesn't help that its tied to yoru watch to work, which make sit a very expensive accessory...and Samsung did the same with the original Gear/Gear2/Neo/Fitbit etc. Since the Apple Watch came 2 years after the original Samsung Gear, I expect it to be at least 3G. The fact it wasn't 2.5 years later was a huge disappointment. Now that I have a Gear S and S2 which are 3G, teh fact they are both standalone and don't ever have to take my phone, is a nice benefit. Hwoever, it too a glorified accessory because nothing else as far as apps, work without the apps being on the phone. At this point since the watch has 3G, you should be able to directly install apps that use it hardware. These wearables in the SW category are very disappointing from both Samsung and Apple equally. But the Samsung is far more useful without your phone.